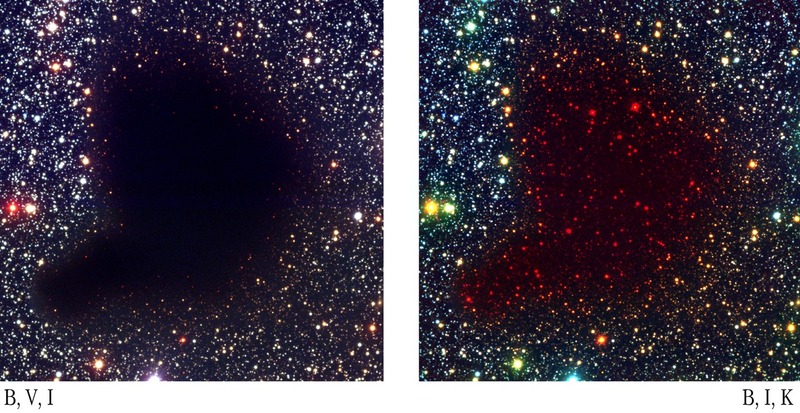 ESO Press Photo eso0102 shows a comparison of the central area of globule B68 in a colour composite of visible and near-infrared on the left and a false-colour composite based on a visible (here rendered as blue), a near-infrared (green) and an infrared (red) on the right. Infrared exposures relate to the right image only. Distance in light years from NASA.